TEXTING AND DRIVING, DISTRACTED DRIVING IS THE LEADING CAUSE OF AUTOMOBILE ACCIDENTS!!!!!. IN A RECENT MICHIGAN POLL: 9 out of 10 drivers admit to knowing that Texting While Driving is illegal. BUT 6 OUT OF THE 9 ADMIT TO TEXTING WHILE DRIVING ANYWAY.... .....THIS IS NOT GOOD!! 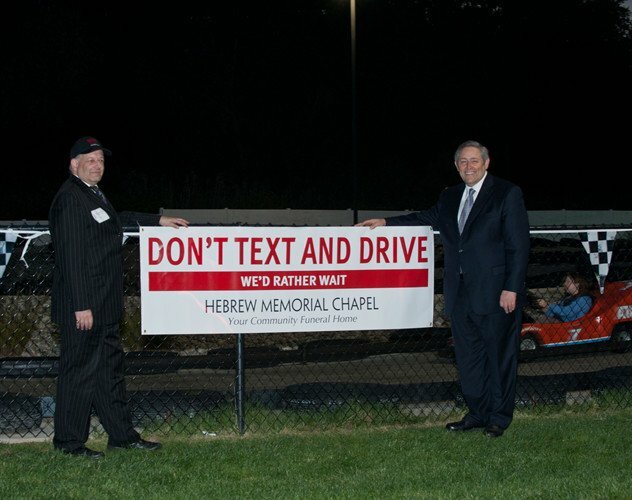 Hebrew Memorial Chapel’s “Driving to Distraction” has become an annual event since 2010 and brings area teens from all over Metro Detroit together to the go-cart track at Paradise Park in Novi and drive under the watchful eye of the Novi Police Department, Novi Fire Department, the Novi EMS and the caring staff of Hebrew Memorial Chapel where they try to text at the same time as driving and discover the dangers of attempting both at the same time. 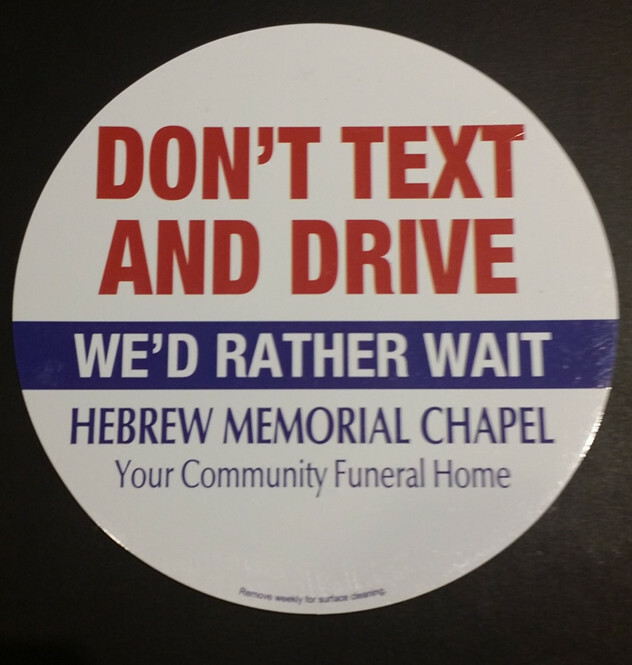 This event is Hebrew Memorial Chapel’s way of providing local teens a first-hand, real life experience to how dangerous texting and driving can be. Professionally, we are here to assist in easing the path of families grief, but as a 100 year old non-profit COMMUNITY OWNED FUNERAL HOME, we would be thrilled to prevent families from going down that path in the first place. According to the 2008 Traffic Collision Statistic Report, drivers 16-19 are 35 times more likely to get in an accident then those 35-44 and 100 times more likely than drivers older then 45. If we can save the life of just one distracted driver, this annual program will have accomplished an amazing and heart-warming mission. Be pro-active....REMIND your friends and family that they should never text and drive. Come to our chapel and PICK UP A CAR MAGNET!! PICK UP A PLEDGE TO NOT TEXT FORM to let everyone know that they should NEVER TEXT AND DRIVE. REMEMBER.....YOUR IMPORTANT TO YOUR FAMILY, US AND OUR COMMUNITY .